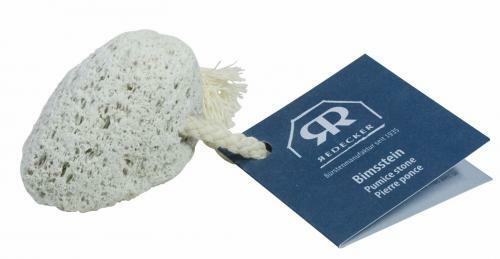 PUMICE STONE - Natural lava stone with cotton strap. Using a pumice stone is the natural way to remove calluses from hands and feet. The Pumice stone should not be used dry, but with a small amount of water. Pumice is a natural product made of white volcanic lava. The stone will hardly wear down and it will last for many years.